Born in Dublin in 1974, Donagh moved to London in 1999 to work at Askonas Holt, starting as an Administrator in our Tours & Projects Department and subsequently managed that department. Donagh joined Askonas Holt’s Board of Directors in 2007, and took over as Chief Executive in 2014. Donagh studied piano and cello at the Royal Irish Academy of Music, and subsequently studied Mechanical Engineering at University College Dublin. A passionate advocate of youth orchestras, Donagh was in turn a member, manager and director of the National Youth Orchestra of Ireland, and is currently a Trustee of the NYOGB. He is married, with two lovely daughters. Sean joined Askonas Holt in late 2018 in the newly created role of Director, Global Head of Strategy & Innovation, becoming the first external hire immediately to join the Board of Directors and embarking on a mission to strengthen and expand the company’s offer to clients. Prior to his arrival in London, Sean served as Executive Vice President & Chief Strategy Officer at 21C Media Group in New York, where he spearheaded the firm’s transformation into a fully integrated public relations and digital agency and forged relationships with some of the world’s most prominent artists. His contributions enabled 21C and its clients to thrive in a rapidly changing environment and led to his being named one of Musical America’s 30 Professionals of the Year in 2017. A frequent guest speaker on the arts and media, Sean has lectured at conferences ranging from MIDEM to the League of American Orchestras, as well as served on the guest faculty of Metropolitan Opera’s Lindemann Young Artist Development Program. Born in Los Angeles, Sean spent his formative years in Knoxville, Tennessee, where his love of music was nurtured by local jazz musicians. Upon graduating with honours from New York University in 2005, he began his career working at IMG Artists in New York. Gaetan was born in Nantes, France, and has lived in London since 1986. In 1991, he graduated from the Royal Academy of Music and went on to Canada for a 6-months residency at the Banff Centre for the Arts. Until joining Askonas Holt in 1999, he worked in London as a freelance oboist. In 2011, he was awarded an ARAM (Associate of the Royal Academy of Music) for his services to music. He currently serves as trustee of the Young Classical Artist Trust and director of the International Artist Manager’s Association. Gaetan’s hobbies include theatre, cycling and mountain hiking. Before joining Askonas Holt in 2007, Sergio worked in government, business and arts philanthropy departments in Tokyo, Madrid and New York. For Sergio, it is hard to imagine anything better than working in the Tours & Projects Department of Askonas Holt. Sharing the passion of bringing audiences together through music, movement, creativity and imagination is what drives and moves him – especially doing it with the incredibly talented, fun and creative team of the Tours & Projects Department. Born in Cardiff, Sue studied piano at the Royal Welsh College of Music and Drama and graduated with an MA in music from Jesus College, Oxford. She began her career in Germany, working as an au pair, ballet pianist and teacher. On returning to the UK she worked in the concerts department at the Philharmonia Orchestra and as A&R Manager at BMG Classics before joining Lies Askonas as an Artist Manager for singers in 1996. She was appointed to the Board in 2007. She has two young children and enjoys Evensong, Netflix and holidays in Wales. Joel Thomas is a board director at Askonas Holt and is joint head of the singers division. Opera is Joel’s passion; since childhood he has developed an extensive knowledge of the artform. Born in the UK, Joel grew up in North America and attended Emerson College in Boston. He also lived and studied in Milan for two years. Joel was first introduced to opera when he sang in the children’s chorus of the Canadian Opera Company and Metropolitan Opera. Before becoming an Artist Manager, Joel gained experience at the Buxton Festival and Boston Lyric Opera. He was later hired as Assistant to the General Director of Boston Lyric Opera. In 1996, he became Assistant to the Company Manager at the Glyndebourne Festival. In January 1997, Joel joined Harold Holt as an Assistant to an Artist Manager in the vocal division. 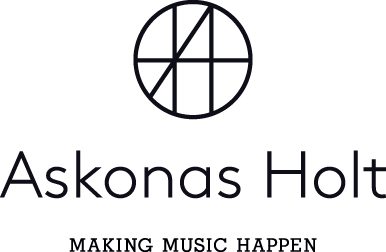 Later he joined Lies Askonas as an Artist Manager working alongside director Mark Hildrew. Since the two companies joined in 1998, Joel has progressed through the singers division and during that time, has had the pleasure of managing and developing many of the world’s leading classical vocalists.